Plockton Cottages are spectacularly situated in one of the most beautiful villages in Scotland, the conservation village of Plockton. Popularly known as the jewel of the Highlands is part of Balmacara Estate owned by the National Trust for Scotland, Plockton lies around a sheltered bay looking towards Loch Carron. The oultook is unfortgettable and as a consequence has featured in many films including 'The Wicker Man' and latterly has been the location of the popular TV series 'Hamish MacBeth'. 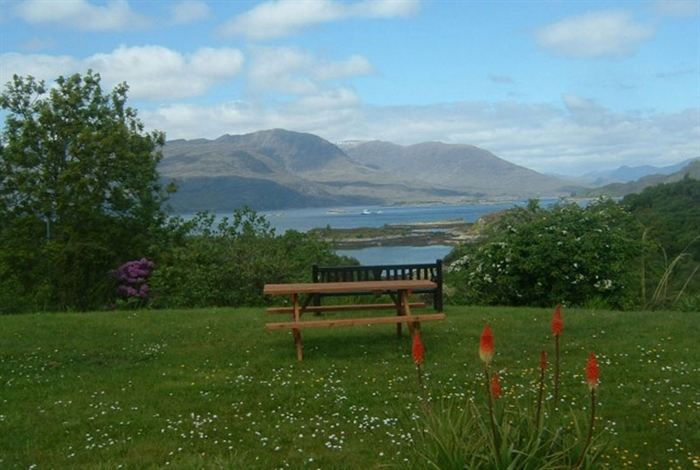 Plockton is ideal for watersports, touring, walking and climbing. 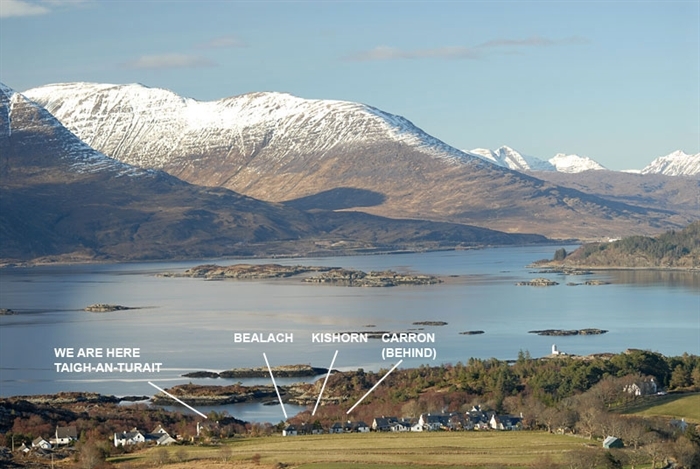 The Cuillins of Skye, the Five Sisters of Kintail and the Hills of Torridon are all within an hours drive. Plockton is accessible by road, sea, air and rail. The scenic railway line between Inverness and Kyle of Lochalsh is world famous. Calum's Seal Trips are unmissable and have featured on many TV Holiday programmes. 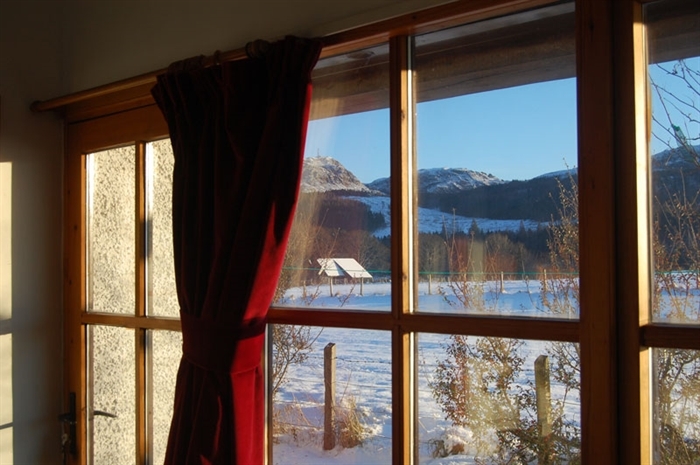 The cottages are equipped to a high standard and include television, microwave, fridge, cooker and dishwasher plus cot and high chair if required. All linen including towels are provided. The cottages are two bedroomed, one with double bed, the other with twin beds. Bathrooms have a bath with shower. The open plan living room/kitchen area has an open fire plus electric storage convector heating. There is a launderette on site and picnic tables are part of the garden furniture. Off-street parking is provided beside each cottage which are personally supervised by the Mackenzie family who live close by. The cottages, which are open all year, are withiin a 5 minute walk of excellent restaurants and hotels all of whom specialise in locally caught seafood. 'Dear Donald, We think your cottages are really first class. The view from the dining area is spell-binding - we had to keep reminding ourselves to eat' - Mr. & Mrs. Tait, Durham.